the essential real estate guide to buying and selling what, where and when in Sydney, Melbourne, Adelaide, Perth, Canberra, Brisbane and Regional and Rural Australia. Featuring tips and advice on buying and selling property, financing your purchase, residential property investment and exclusive tips on Australia's best and worst performing areas. Based on Andrew's popular newspaper columns this book is an essential guide to buying real estate for first-home buyers to seasoned developer. 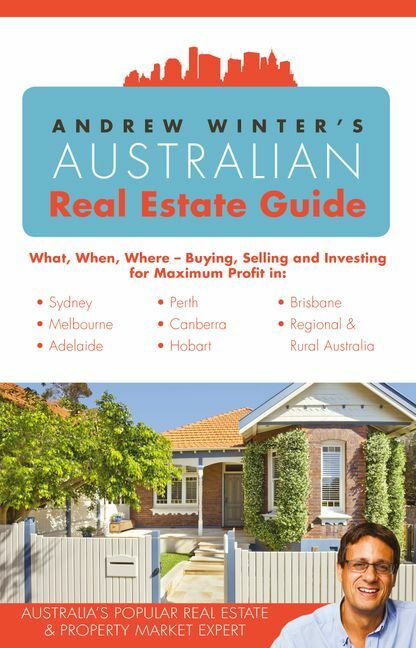 TV real estate guru Andrew Winter is one of Australia's leading residential property experts. Best known for hosting the award-winning "Selling Houses Australia" and "Selling Houses Australia Extreme" on Foxtel's The LifeStyle Channel. In 2011 Andrew joined News Ltd as their real-estate expert. His articles feature in national and local newspapers and magazines, including "The Daily Telegraph" and "Herald Sun".